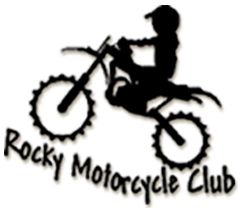 The Rocky Motorcycle Club is a Non-Profit Organization with an incredible Family orientated feel. 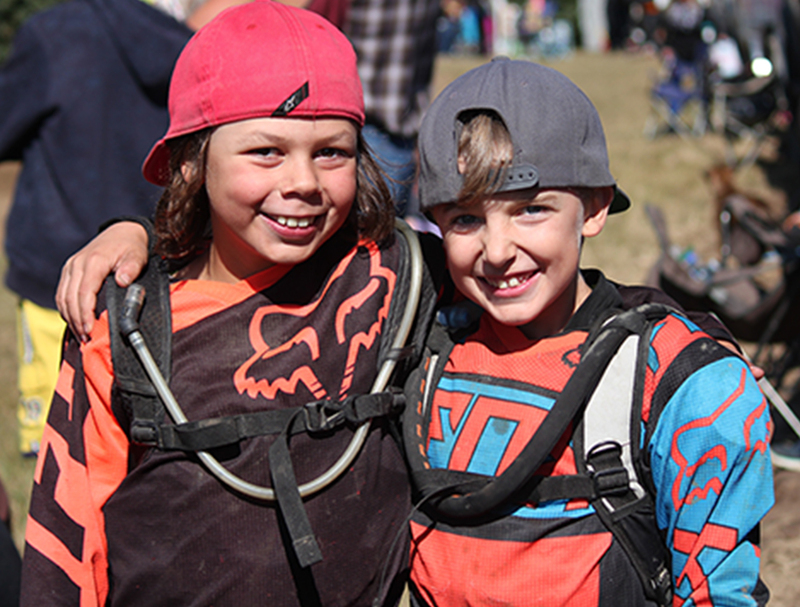 By becoming a member of the club you will have access to the Table Top Raceway Track featuring a regularly groomed track, onsite camping, and an enduro cross area. Membership with a Club gives our riders a voice in today’s political environment to advocate for rights for our current riding areas. Having a family or single membership saves on race day fees over purchasing day passes as well. The proceeds from memberships go towards track maintenance, events, and advertising for the Rocky Motorcycle Club. Volunteer hours during this season that will be tracked by club members can get you into a free membership for the following season! 10 hours is required to receive a single membership, and 20 hours combined within the family to receive a family membership. For students wishing to volunteer for course requirements or resume building the Rocky Motorcycle Club will provide a letter on Club Letterhead for validation of hours if requested. You can now download the Membership Registration Form (Individual, Family and/or Day Pass Use) and applicable waiver(s). 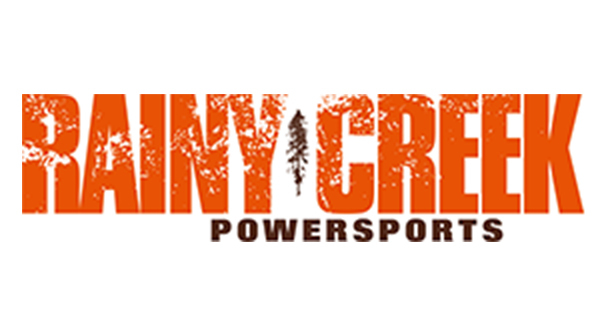 Memberships are available at all Rocky Motorcycle Club Off-Road and Motocrosss/Table Top Raceway events. 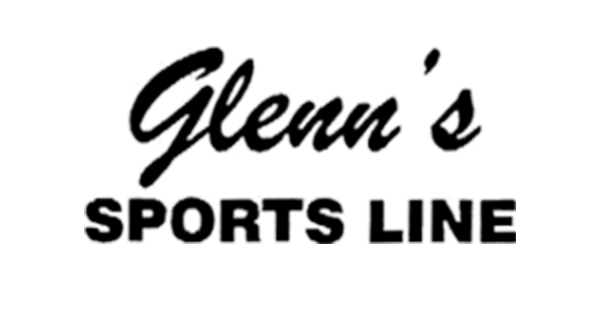 Memberships are also available for sale at our participating dealers during store hours. Memberships are not available on Sundays as dealerships are closed. Day passes will only be able to be purchased during race events, or on weekends where we have scheduled members camping out at the track to sell these day passes. All riders must have a current Rocky Motorcycle Club Membership. Any rider under the age of 18 years must have signed consent from a parent or legal guardian. Participants must not consume or be under the influence of alcohol or drugs that could affect their normal mental or physical ability. Race participants may select the appropriate class to their ability; if the chosen class is deemed inappropriate by the Club executive, the participant will be advised accordingly. Any grievances in a race must be presented to Club executive, in writing, within 30 minutes of results being posted. No littering at race sites; use the garbage cans and dumpster or take it with you. Race participants may be removed from an event and/or the Club for breaking any rule of conduct or Table Top Raceway rule. Observed infractions to the rules of conduct must be reported to the Club executive. All racers must possess an RMC day pass or current membership to participate in RMC events and races. Any rider under the age of 18 years must have signed consent from a minimum of 1 parent/ Guardian. Both are to sign whenever possible. Minimum safety requirements of boots and helmets must be worn AT ALL TIMES when on any type of off-road equipment or bike. No littering. Pack in pack out rules must be followed. Poor sportsmanship on and off the course at RMC events will NOT be tolerated. Penalties will be at the Race Official’s discretion. Pit areas and fuelling stations will be in a designated area. Spark arrestor is mandatory to race. This is Law in Alberta and B.C. All riders must complete 1 full lap to qualify for points. Rocky Motorcycle Club races run for 90 minutes for adult classes, 60 minutes for kids and lady’s classes and 30 minutes for peewee classes unless otherwise stated prior to the start of the race. IF you choose to stop before the time clock has run out you MUST NOT cross the finish line until the time runs out. You will park your bike in the designated pull off area and wait until the end of the race. At that time, you will be permitted to cross the line and finish the race. If you cross the line you are committing to another lap. Failure to complete that lap will result in a DNF. Starting the race in the incorrect starting class will result in a DNF. Courses are marked with pink ribbon for trail and blue ribbon for corners. The blue ribbon will be on the trail side that you will turn on. Riders must remain within 15 feet of the trail ribbon. Effort must be made to stay on trail. Course cutting by means of short cuts or corner cutting is grounds for a time penalty or disqualification. When a faster rider comes up behind you please allow them to pass safely. Roosting the score tent will result in a time penalty. In the event that the ambulance must leave the race, the race will be suspended. Any injury or incident on course MUST be reported to the Race Official. ALL medical treatment MUST also be reported prior to the end of race day. In the event that we must stop a race due to unforeseen circumstances, all racers ON COURSE will receive 2 points for that race. Once results are posted there will be a 15-minute NO CONTACT period followed by a 30-minute protest period. All protests must be made in writing to the Race Official by the Racer. This is for all classes. Failure to comply will result in protest not being considered. Protests outside of 30 minutes, unless a result of technical error, will not be considered. It is the responsibility of the Racers to check the results within the 30-minute period. Any protest taken to ANYONE other than the Race Official during and after, the 30-minute protest period will result in a Disqualification. The 2019 Race Season is Run by the Rocky Motorcycle Club under CMA Sanction. The Ice Racing Series is subject to the general rules of the Rocky Motorcycle Club, CMA Official Ice Racing and Sportsman Rules as well as the additional Rules laid out below. Chest Protector and winter goggles required at all times in all classes. All Motorcycles & ATV require Dead man Tether Killswitch 18″ or shorter. Tether must be a solid material. Start line testing of kill switches will be enforced at Race Officials discretion. SOLID FULL FRONT & REAR GUARDS Required on motorcycles, No exceptions. Failure to maintain guards will result in rejection from races or entire event. Guards are subject to inspection by CMA race officials. Side panel & Front Numbers required. 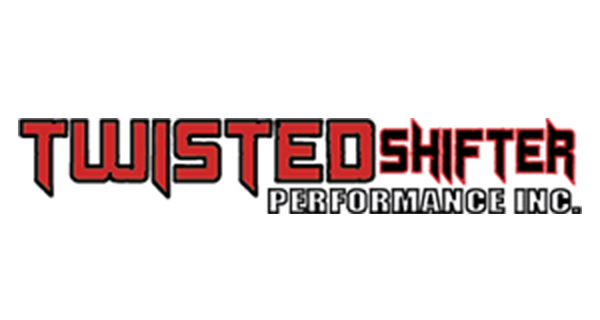 Fueling of any machines must be done on a spill mat or inside of a trailer. Ride within your skill level. 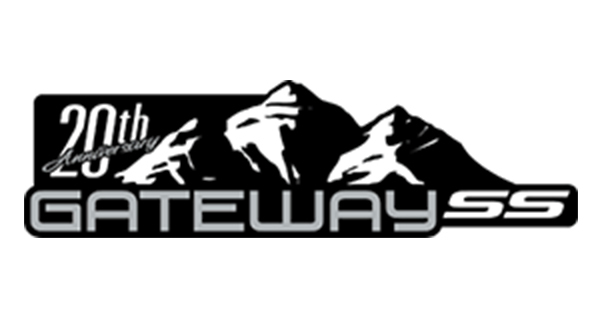 ATVS – REQUIRE REAR BUMPER GUARDS. Guards are subject to inspection by CMA race officials. UTV Rear Bright Light – Solid or Flashing, to be mounted 4 feet or higher. Allows riders to see each other in snow dust white outs. Mandatory for the 2019 season. UTV upper door net must be securely fastened on the driver and passenger side (if carrying a passenger). UTV passengers must be a current RMC member and pay a daily race fee to be covered by insurance. The club rules are given to ALL members and are expected to be followed by ALL members. If you have any concerns please contact a Club executive. As a club we get together once a month during the months of February to October. First Tuesday of the month we meet at 7pm at the Walking Eagle Inn in Rocky Mountain House for all members interested in attending.